The Telecom Regulatory Authority of India gets backing from the COAI on pan-India MNP implementation. However, the GSM industry body points out the possible challenges involved in the implementation and impact on the revenues. The Cellular Operators Association of India (COAI) has supported the Telecom Regulatory Authority of India's (TRAI) recommendation to implement the pan-India Mobile Number Portability (MNP) system within six months. However, the body points out the national MNP is a 'very complex matter' and that all of the stakeholders are 'not ready as of now'. “We support the objectives of NTP-2012 and are committed to working with the Regulator and DoT on implementing these in a customer and industry friendly manner. National MNP is part of the NTP-2012 objectives and we look forward to working with the DoT, if they accept the TRAI recommendations,” Mr. Rajan S Mathews, Director General, COAI told Digit. The proposed pan-India MNP, if implemented, will allow users to switch mobile network even after they shift from one service area to another. Currently, users can avail the MNP facilities within a service area only. “After analysis of the inputs received, extensive deliberations with the Telecom Service Providers (TSPs) and internal analysis, the Authority’s recommendations have been finalised,” TRAI is quoted as saying. 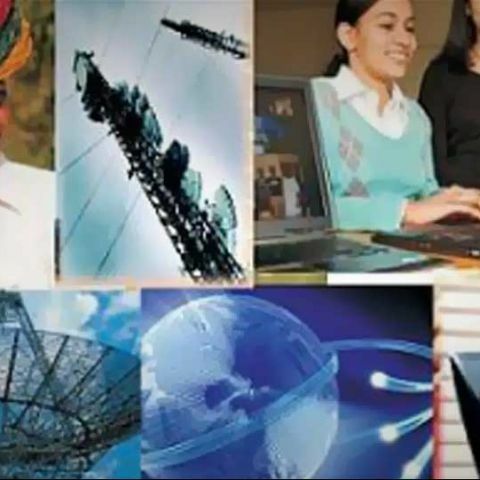 The pan-India MNP is one of the crucial elements of the National Telecom Policy 2012. However, its implementation has seen a number of delays. In February this year, the regulator had initiated procedures for the implementation of the nation-wide mobile number portability. The regulator had released consultation process to seek views from stakeholders on the pan-India MNP services. The service providers, however, had sought the TRAI to carry out a 'detailed cost-benefit' analysis before the nationwide implementation. Experts also believe the implementation may face some major challenges. “A major challenge will be to retain large users e.g corporates with presence in multiple regions, and with large numbers of connections, which will enable them to negotiate harder to obtain deals from existing operators and their competitors,” says telecom expert Mahesh Uppal. Elaborating on the possible challenges, Mr. Rajan S Mathews said the challenges relate principally to the reconfiguration of the networks, call routing, call scenario testing, circuit provisioning, international carrier notification, intercarrier settlements, customer billing and notification, etc. “These are complex matters and took almost 3 years to complete for Intra Circle MNP. While there are many learnings from this, national MNP will pose additional challenges,” he added.